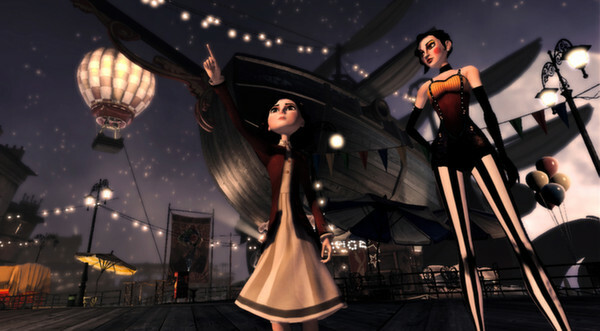 Our EIC Sarah did a preview of Contrast, and now I bring you a review! 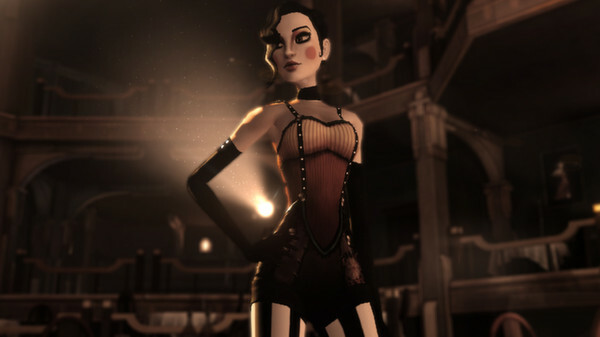 Contrast is brought to us by Compulsion Games, and it’s their first game. From the very beginning of Contrast, the game does an excellent job of drawing you in. Something feels…off in Didi’s world, and as you progress, you will uncover more and more of the mystery. I enjoyed that finding collectibles, often a mostly-pointless exercise that only nets you achievements, actually advances the story. Contrast is set in 1920s France and has a noir vibe, complete with gangsters who are ready to make Didi’s father sleep with the fishes. The game builds to an interesting conclusion that left me wanting more, and I hope we’ll see an expansion in the form of DLC – or even a full-fledged sequel. Didi and Dawn are both great female characters. Didi is a precocious little girl, someone who can sneak out of her house, fix mechanical objects, and has a huge sense of adventure. She also understands more about her situation than the adults around her do. I found myself quite emotionally affected by her story. Dawn is her constant companion, an imaginary friend who helps Didi in her quest for mischief. Dawn never speaks, but Didi doesn’t seem to mind, and they communicate well enough. Dawn is sexualized (crazy-long legs and a corset), but not overtly so, and attention is never drawn to her body (beyond the fact that you’re controlling her). Contrast took me about five hours to complete, but depending on how much time you spend running around and how long the puzzles take you to figure out, it could be more or less. It’s not a very long game by any means. There are 22 achievements to unlock (which give you a total of 400 points on the 360). The achievements are pretty varied for an arcade game, and include points for finding hidden secrets around the game world, story progression, and uncovering all the collectibles in a chapter. You can also go back and select chapters that you’ve already finished if you missed any achievements, which is nice. The game uses a modified version of the Unreal 3 engine and is a joy to look at. Everything is beautiful and fanciful, and the light/shadow effects are excellent (which is good, because they’re part of the core game mechanics as well). There can be some graphical glitches; the most common one I ran into was Dawn becoming stuck in a tightrope-walker pose, only able to spin. Luckily, you can “dash” yourself out of this situation, and I never had to reload because of that issue. Voice acting is of high quality; no one sounds unprofessional, flat, or bored. The title screen features an absolutely gorgeous main theme song, which is later sung by Didi’s mother Kat, a cabaret singer. This is a game I would buy the soundtrack for. 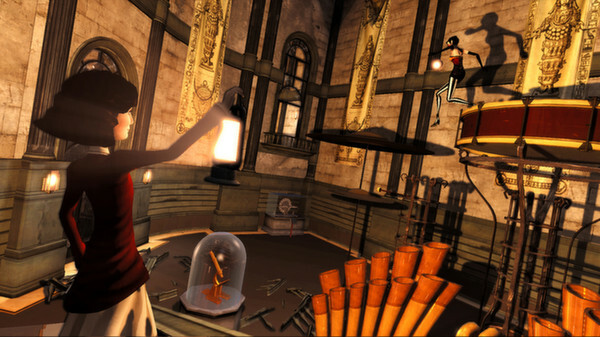 Contrast is a both platformer and a puzzle game. None of the puzzles are overtly difficult, but there was enough challenge so that felt a sense of accomplishment after I figured something out. 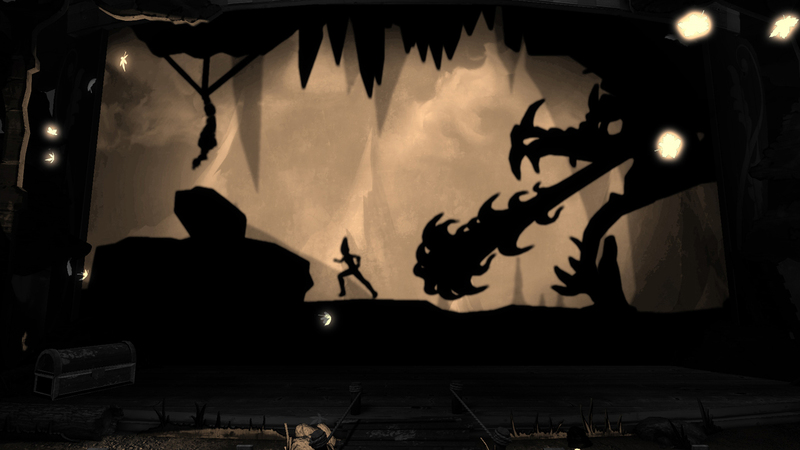 In a unique twist, the game asks you to platform in both 3D and 2D spaces; Dawn can shift in and out of the shadow world at will, as long as she has a light. Sometimes you need to think in both of these dimensions to work out a puzzle. What can make some of the puzzles difficult, however, is the controls. Dawn doesn’t always control well, and jumps that should be easily completed can be frustratingly difficult. It’s sometimes easy to fall out of the shadow world and back into the real world at exactly the wrong moment. Dawn feels more floaty than solid at times, and there are a few annoying invisible walls, but when jumps and platforming work as expected, the game is very fun. Another positive aspect is that the game never punishes you for falling – even if you fall into an endless void, you just pop right back up where you fell. If you fail a jump, you’re put back to where you made the jump in most cases. Backtracking is the worst, and I really appreciated that Contrast doesn’t have any. Two of my favorite puzzles were using the shadows of a carousel to reach the top of a building and taking the role of a shadow puppet princess so that a circus puppet show could continue. Also, I must commend that section of the game, because the princess keeps having to rescue her suitor from the trials he’s sent on to win her hand in marriage. Didi’s father is the one creating this story, letting his little girl know that she doesn’t have to be passive in her life. A visit to a lighthouse at the end of the game was also quite satisfying, both from a story and puzzle standpoint. There’s a lot of imagination present in the game (perhaps minus some boxes-on-buttons that instantly reminded me of Portal), and seeing what puzzles came next, along with the mysteries of Contrast, pulled me along to the end. Contrast is an amazingly gorgeous game in nearly every way. The controls can be wonky, and graphical glitches occur, but none of these prevented me from finishing the game or enjoying the story. The developers are also actively working on a patch; with the glitchiness fixed, the game will live up to its full potential. I hope to see more from Compulsion Gaming in the future! You can get Contrast on Steam (both standard and collector’s editions; the collector’s edition is $5 more and includes the soundtrack, artwork, and a developer diary), Xbox 360, PlayStation 3, and PlayStation 4 for $14.99. It’s currently free for PlayStation Plus subscribers. Visit the official site, like the game on Facebook, follow on Twitter, and subscribe on YouTube. Compulsion games also has their own site.